We’d love your help. 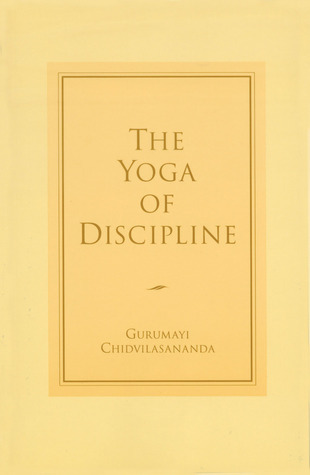 Let us know what’s wrong with this preview of The Yoga of Discipline by Gurumayi Chidvilasananda. In this collection of fourteen talks, Gurumayi Chidvilasananda teaches students how to cultivate yoga discipline of the senses on the Siddha Yoga path. To ask other readers questions about The Yoga of Discipline, please sign up. She makes discipline feel good and worthwhile. I read this book years ago when I first started yoga- asana practice. Now 30 plus years on, the teachings found in this book still resonate but more profoundly. I gave my hardback copy away. Now I’ll have it to read again as an e-book. Este libro me deja muchas interrogantes. Por su complejidad, me obliga a reflexionar. Me propongo leerlo nuevamente para profundizar en los mensajes y darle más sentido a las palabras. Full of great insight explained in a way that really resonates with me. References many classic yoga texts with contemporary application. This is one I'll keep on the shelf for reference time and time again. I, for one, need more discipline in my life. I find Yoga an empowering form of exercise and strength. Beautiful book. Since I am probably the least self-disciplined person I know, I'm excited about the possibilities this book has to offer ! I imagine this is one I'll return to.